Call Capt. 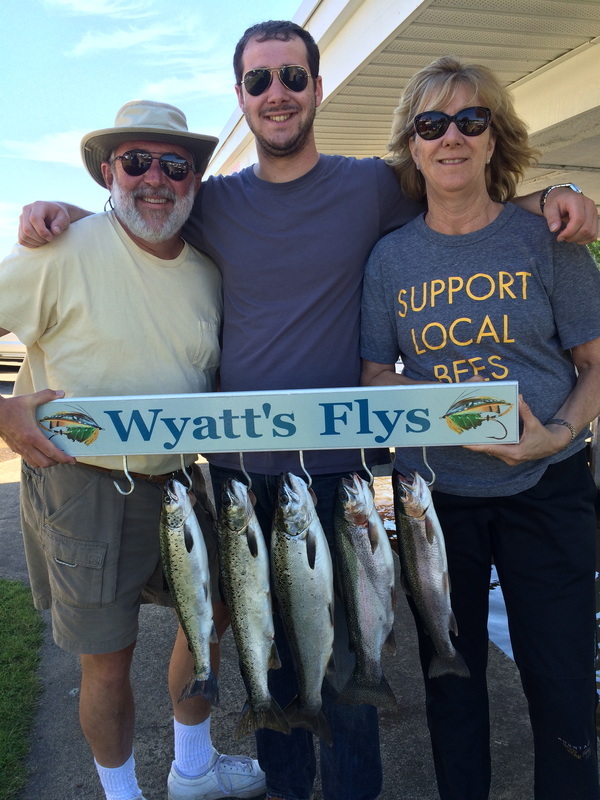 Bob Wyatt now to hold a date for exciting Landlocked Atlantic Salmon fishing with our custom flys! All fishing gear,life jackets will be provided. We'll ask you to provide a current NH Fishing license, all foul weather clothing,sunglasses,sunscreen and a small cooler for your catch. Master Angler/NH Guide#33 Capt. Bob Wyatt will be at your service.He holds a NH Commercial Boating License. Also's Red Cross First Aid/CPR certified. Big John Otter boat side planers.Jig Pod "Rod Pumper's".Cut2Spec Jigging Boards & Down-Rigger accessories. 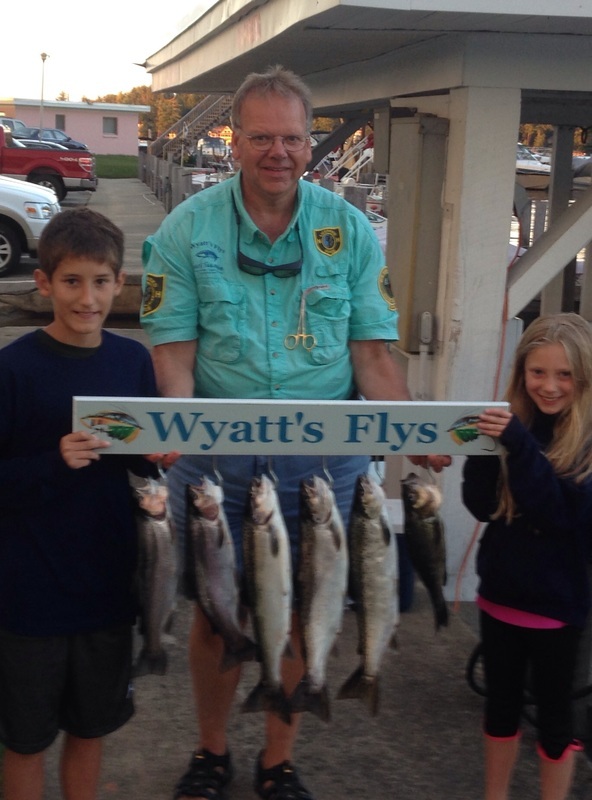 All charters are $350.00 for five hours. Morning's start approx.5:00am. Evening approx. 3:30pm. We'll ask you to meet us at a launch closest to where the fish are biting the best. Looking for a relaxing day on the water? 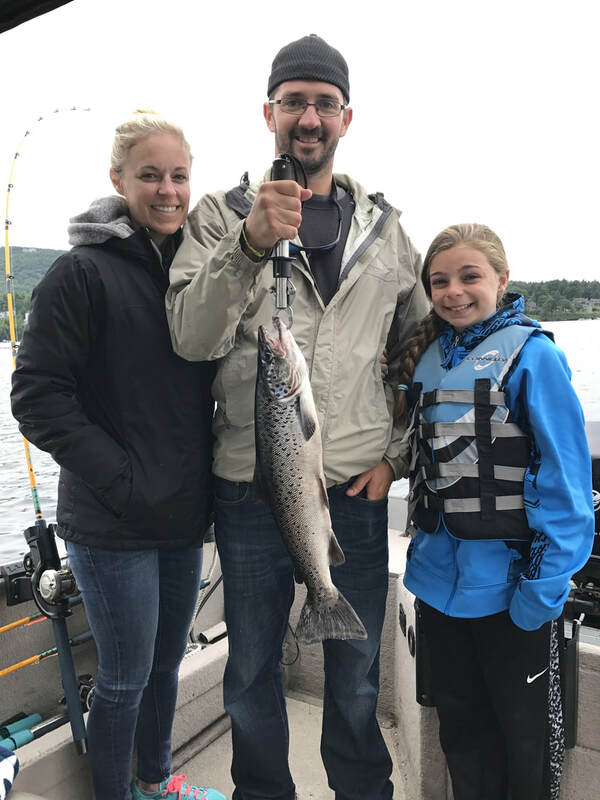 Book a guided fishing trip with the Fish Lake Winni charter fleet and you won’t be disappointed! From fresh water trolling, salt water fishing, to fly fishing and even ice fishing, this is your one stop fishing hot spot! Welcome to Mill Falls at the Lake New Hampshire’s Premiere Lakefront Resort Step back in time while experiencing the luxuries of today when you discover Mill Falls located along the shores of Lake Winnipesaukee in the quaint town of Meredith, NH. Choose from one of four inviting Inns: Bay Point and Church Landing located right on the water, and Mill Falls and Chase House just across the street, all accessible from a lakefront boardwalk and sharing many of the same spectacular views of the lake and surrounding mountains.